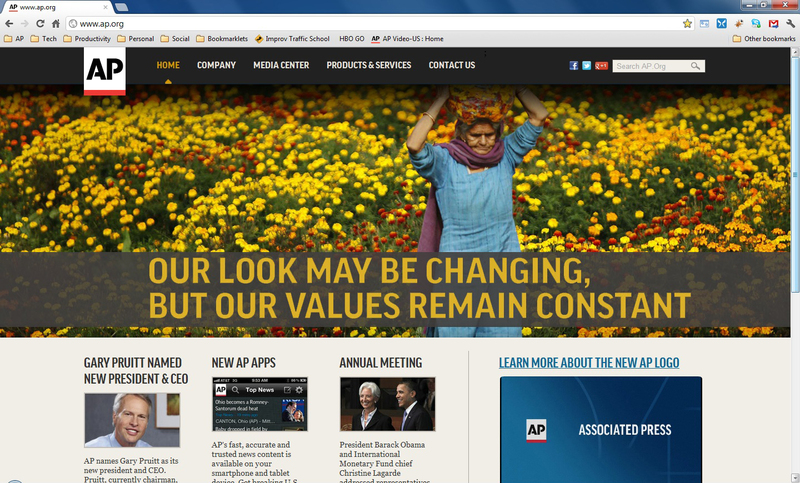 The Associated Press has launched their new home page web site at http://www.ap.org . This site is the first launched with the new AP brand and logo, and was released with the new AP Mobile application for the iPhone, iPad, and iPod Touch. It is also a site that has launched using a new technology platform we have been developing at the AP, using ASP.net MVC for the front end of the site, SDL Tridion as a CMS for page creation, FAST as the search index, and lots of jQuery. Features baked into the site are the user-managed navigation, the 3 and 4 column components, carousel component on the home page and section front pages, standard articles and article index, automated sitemap.xml creation, SEO friendly pages, and the ability to publish new content without the involvement of Development staff. Congratulations go out to Steve and Igor for the site development and design, Christine for being patient as we worked through the project, Dharamvir for finding all our bugs before we find them in production, and Mara for pulling us all together and keeping us focused. This entry was posted in Product Launch on March 14, 2012 by bwhaley73.